How do you classify burn injuries? At one time, this was a fairly simple question to answer, but the classification of burns is changing and a new system is gradually being adopted. This has made conversations about burns more complicated since you need to be sure that everyone concerned is using the same system and terms. This article will cover the basics and discuss terminology that you might face when handling your next burn injury case. skin. The burn site is red, painful, dry, and with no blisters. Mild sunburn is an example. 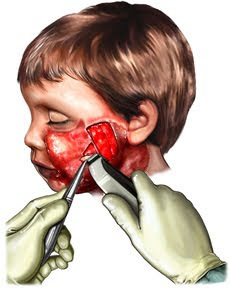 • Second-degree burns involve the epidermis and part of the dermis layer of skin. The burn site appears red, blistered, and may be swollen and painful. • Third-degree burns may also damage the underlying bones, muscles, and tendons. The burn site appears white or charred. 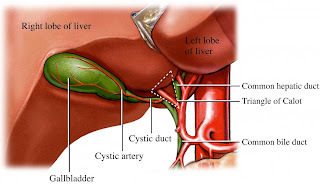 There is no sensation in the area since the nerve endings are destroyed. For many years, healthcare providers have also added a fourth-degree category. Using this system, third-degree burns are limited to those that extend down through the epidermis and dermis into the subcutaneous tissue, and fourth-degree describes the burns that extend down into the underlying muscles, tendons and ligaments. Recently, a new system has come into use. 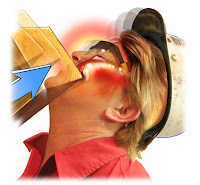 This new system completely abandons the old use of degrees and describes the injuries based specifically by the depth of the burn. The traditional classification of burns is being replaced by the designations of superficial, superficial partial thickness, deep partial thickness and full thickness. Of course, these designations refer to the depth of the skin affected by the burn. For now, the change in systems is still in progress, so during the transition you will notice a blend of terminology. Some experts may refer to first-degree, second-degree, third-degree and full thickness burns. Some may use a combination of terms such as first-degree/superficial, second-degree/partial thickness, third-degree/deep partial thickness and fourth-degree/full thickness. The variations can become confusing, so it is good to be versed in all the terms and systems discussed above. 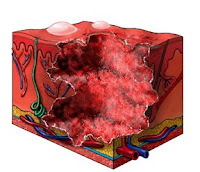 One of the most common nursing negligence issues we are called upon to illustrate is the development or progression of pressure sores (sometimes know as bed sores or decubitus ulcers). Pressure sores are areas of injured skin and tissue usually caused by sitting or lying in one position for too long. This often happens if you use a wheelchair or you are bedridden, even for a short period of time (for example, after surgery or an injury). When a change in position doesn't occur often enough and the blood supply gets too low, a sore may form. 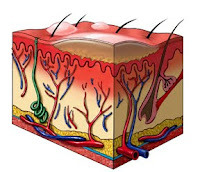 The constant pressure against the skin reduces the blood supply to that area, and the affected tissue dies. • Stage I: A reddened area on the skin that, when pressed, is "non-blanchable" (does not turn white). This indicates that a pressure ulcer is starting to develop. • Stage II: The skin blisters or forms an open sore. The area around the sore may be red and irritated. 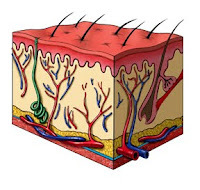 • Stage III: The skin breakdown now looks like a crater where there is damage to the tissue below the skin. • Stage IV: The pressure ulcer has become so deep that there is damage to the muscle and bone, and sometimes tendons and joints. In most cases pressure sores are preventable and, if not prevented, should be recognized early and appropriately treated. In almost all situations, the development of massive pressure sores is evidence of some form of deviation in the standard of nursing care (neglect). Generally the neglect is in more than one area, i.e., hygiene, nutrition, infection control, protection and positioning. 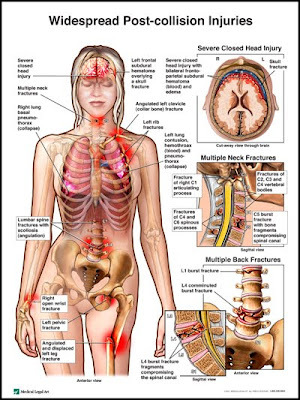 The common areas for the formation of pressure sores and their prevention is a basic area covered in all nursing schools by all licensed nursing programs (LVN or RN). Prevention consists of changing the person's position every two hours or more often if needed. The two-hour time frame is a generally accepted maximum interval that tissue can tolerate pressure without damage. Prevention also consists of protection and padding to prevent tissue abrasion as well as the elements of nutrition, hydration, hygiene, etc. 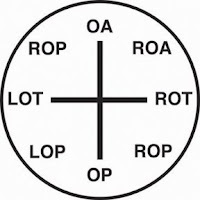 Turning and positioning is common knowledge for physicians, licensed nurses (LVN or RN), and physical therapists as well as paraprofessional care gives (nursing assistants). Turning is applicable even on flotation mattress beds. 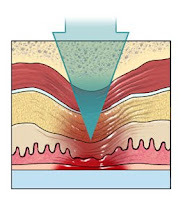 Treatment for pressure sores involves removing all pressure from the involved area(s) to prevent further decay of tissue and promote healing. Frequent turning is mandatory to alleviate pressure on the wound and to promote healing. Treatment also involves keeping the area clean, promoting tissue regeneration and removing necrotic (dead) tissue, which can form a breeding ground for infection. There are many procedures and products available for wound care, cleaning and pressure reduction. The use of antibiotics when appropriate is also part of the treatment. Some deep wounds even require surgical removal or debridement of dead tissue. Without all of these elements being in place, the wounds will not heal and, in fact, will quickly worsen. 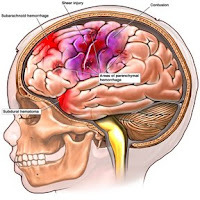 Brain injuries are one of the most common topics involved in personal injury litigation. 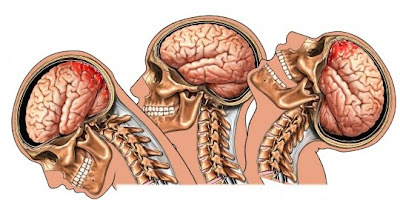 Motor vehicle collisions, falls, sports injuries and many other circumstances with associated impacts frequently damage the brain, the most important and vulnerable organ in the body. The severity of these injuries can range from mild to severe. Cases may or may not involve surgery or other medical interventions. But in almost all brain injury cases, there exist similar challenges for selecting or crafting demonstrative evidence. 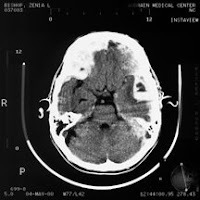 In traumatic brain injury cases, you will most likely have significant radiological evidence. 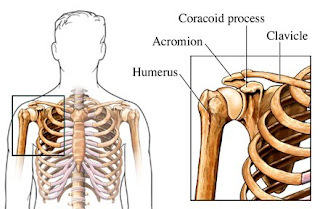 Hematomas, contusions, and areas of infarction, etc. typically show up nicely on CT or MRI studies. You may choose to simply utilize these radiological studies as your demonstrative evidence. 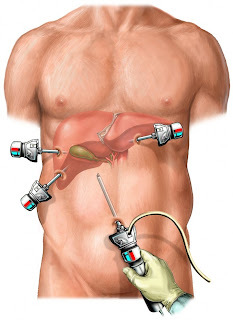 While this is certainly the most affordable option, you should consider having a skilled medical illustrator either highlight these films, coloring the pertinent regions, or have the illustrator create full color illustrations interpreting the films in greater detail. These are generally some of the most affordable custom exhibits you could purchase, but they certainly make a big difference in clarifying the injuries for the layperson. Your next most valuable bit of evidence may be the neurological evaluation. This report will detail the neurological deficits or behavioral changes experienced by the patient following the injury. This report in itself is a valuable tool, but it can be even more effective if you can create a direct link between the radiological evidence and the neurological evaluation. For example, if your neurological evaluation discusses significant changes in the patient's short-term memory and balance and we can clearly see a physical injury on the radiological studies that affects the temporal lobe, then we have an opportunity for the foundation of a great argument linking these factors. Since the temporal lobe is damaged and the temporal lobe is responsible for the symptoms experienced by the patient we must create a visual link for the jury so that there is no doubt that the two reports are related. It doesn't matter if you employ a simple chart mapping brain functions or a complex presentation concentrating on your specific area of interest. The goal is to establish a foundation of knowledge in the viewer so that the links between cause and effect can be appreciated. For any neurological evaluation, you should take the extra time to inquire from the neurologist, not only what deficits can be seen, but also what regions of the brain influence the pertinent brain functions. After the region of functional deficit is determined, you can go back to the original diagnostic radiological studies to see if the visible injury is in the same region. The brain is complex, so you may not always have a direct match, but in those cases where the two reports coincide, you would be well served to take the time to educate your audience on the functional regions of the brain. This way a direct link can be drawn between the injury and the subsequent neurological symptoms. 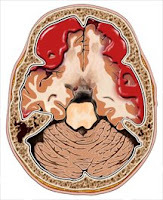 Of course, there are many other types of demonstrative evidence that can be useful in these traumatic brain cases including dramatic illustrations of brain surgery or mechanism of injury animations. Perhaps that will be a topic for another day. As with the mild traumatic brain injuries that we discussed last month, another issue that is often difficult to substantiate is soft tissue injuries, particularly of the spine. 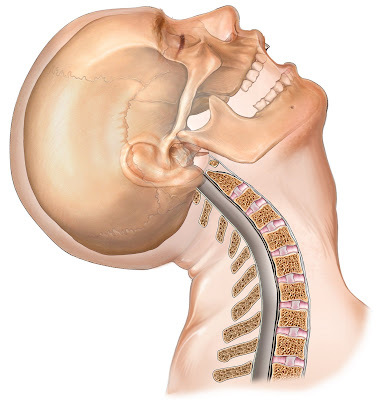 These injuries are often referred to as myofascial sprain and strain injuries or as whiplash injuries. Regardless, they are usually characterized by lingering pain localized to the specific region of injury without evidence of an underlying orthopedic injury such as disc disruption, fractures or arthritic changes. Although these injuries may be difficult to diagnose or prove, they can be very debilitating and can result in life-long pain and discomfort for the patient. Although soft tissue injuries cannot be directly proved with radiological evidence (MRI, CT or X-rays) like disc herniations or fractures can be, there is often indirect evidence in the films. This is usually seen as a “straightening of the lordosis” of the spine. 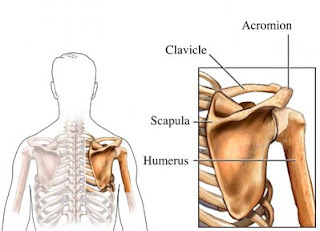 This means that the natural curvature of the spine has been either straightened or reversed. This straightening of the spine is often very evident in the radiological films of a patient experiencing post-traumatic pain. 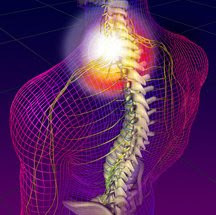 The straightening of the spine is an unconscious effort by the body to protect the area of injury and to alleviate pain. 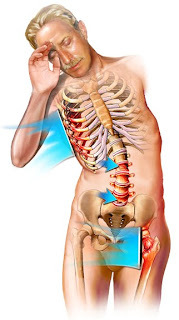 The actual injury, which occurs to the muscles, ligaments, tendons and other soft tissues around the spine, can be easily explained with just a few simple soft tissue illustrations. First it is important to explain that soft tissues all have microscopic sensory nerves that run through them. Next, it can be understood that the swelling and disruption of the soft tissues immediately following an injury put pressure on these nerves resulting in the pain that we all feel for a few days after an injury. Finally, it should be shown that in these more severe cases, microscopic scar tissue can build up within the soft tissues continuing to distort the nerves, causing pain, even after the swelling of the initial injury has subsided. This scar tissue and the resulting sensory nerve disruption is the physical source of the permanent pain in most of these soft tissue cases. I had another client call today asking the same question I have heard dozens of times over the years, "I have a mild TBI case. How do I show that my client was really injured?" This is a very popular question that doesn't have a good straightforward answer, so I thought it would be a good topic to discuss here. Let's start at the beginning. What is a mild TBI (traumatic brain injury)? The first thing you should know is that a TBI is categorized as mild only because there was only a brief loss of consciousness. This classification has nothing to do with how severe the actual injury is to the brain or to the function of the brain. Also, a TBI can occur even when the skull is not damaged (closed head injury) and no impact is required. The brain is made of soft spongy material and sudden or violent motion of the head can cause the brain to "slosh" around inside the skull. These sudden movements of the brain within the skull are at the heart of the majority of the TBI cases we see. In most cases, no evidence of injury will show up on CT or MRI scans unless this injury results in hemorrhage from contusions or vascular injury. 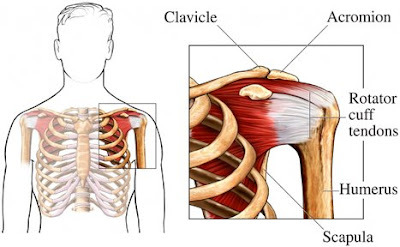 Usually, the injury is microscopic occurring to individual cells or clusters of cells. This is where axonal shearing comes into the conversation. The movement of the brain within the skull can cause disruption of the various nerve cells (neurons) that make up the brain tissue. These injuries to the neurons, and particularly to the long vulnerable axon portions of the neurons, are called axonal shearing or shear injuries. Although traditional radiological techniques are not of much help in axonal shearing cases, PET scans can sometime be of assistance. A PET (positron emission tomography) scan shows the absorption rate of glucose in the tissues and can be helpful to show a functional deficit even when no structural defect can be seen. Of course, neuropsychological testing is also helpful to point out specific types of impaired function that did not exist prior to the injury. A skilled neuropsychologist can often isolate specific regions of brain injury based on lists of behavioral and cognitive dysfunction. All in all, when pursuing a mild TBI case, you should be prepared to go beyond your efforts to locate a single source of evidence for your client's injury and be prepared to educate and enlighten as to the nature of the injury itself. These cases can be a challenge but they also can be very rewarding. 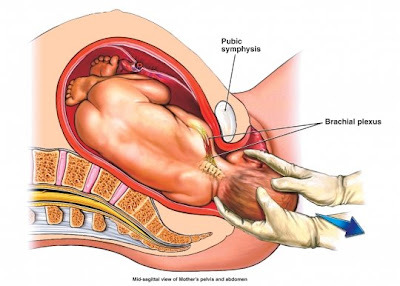 According to the World Health Organization, shoulder dystocia is simply when the fetal head has been delivered but the shoulders are stuck and cannot be delivered. 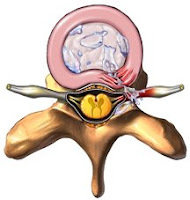 Although the vast majority of cases we have seen at MLA deal with the anterior (front) shoulder being stuck behind the pubic symphysis of the mother, we have seen one or two cases involving the posterior shoulder being stuck behind a portion of the sacrum. While most cases of shoulder dystocia occur with no warning, litigation primarily revolves around the failure to recognize or manage this condition. According to the American Academy of Family Physicians, "calm and effective management of this emergency is possible with recognition of the impaction and institution of specified maneuvers, such as the McRoberts maneuver, suprapubic pressure, internal rotation, or removal of the posterior arm, to relieve the impacted shoulder and allow for spontaneous delivery of the infant." To fully appreciate the issue of shoulder dystocia, one must understand the anatomy and role of the brachial plexus. Mismanagement of shoulder dystocia can lead to severe injuries to the brachial plexus including stretch injuries, partial tearing and even complete avulsion. These injuries can result in permanent developmental dysfunction of the affected arm with life long consequences. Shoulder dystocia birth injury animation.